Sony today unveiled a new initiative whereby select PlayStation Portable titles will be ported to the PlayStation 3, with improvements made along the way to (hopefully) make the whole thing worthwhile. 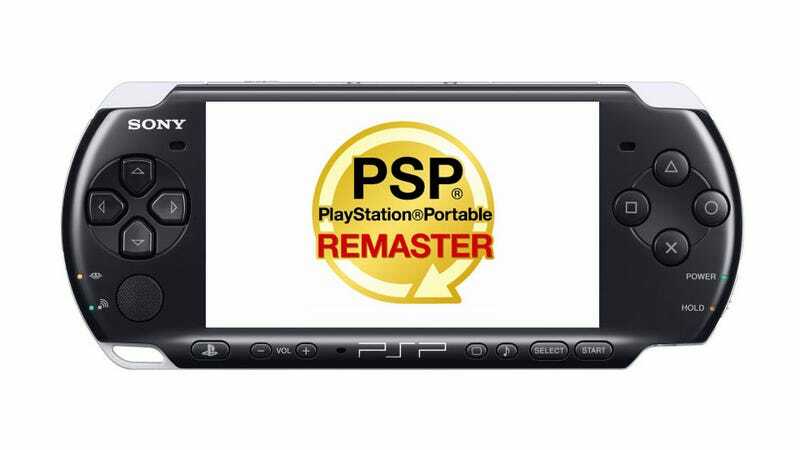 It's called the PlayStation Portable Remaster Series, and sees certain PSP games re-released on the PS3 with enhancements like exclusive new content, HD graphics, control pad support, 3D visuals and more. There's even multiplayer compatibility, with the PS3 versions of the game able to be played over Sony's Ad Hoc multiplayer service for the PSP. The first game announced for this line is smash hit (in Japan) Monster Hunter Portable 3rd, which will be re-released on the PS3 this Summer (in Japan). Sony says more game announcements from more publishers will be coming down the pipeline. There was no specific mention of a timeframe for an international release for the service, but hopefully that will come at E3 next month. It would be a crazy, crazy world if Metal Gear Solid: Peace Walker and the PSP God of War games were not among the first titles revealed for the service. And then, after that, every NGP game ever released. UPDATE - Here's footage of Monster Hunter Portable 3rd in action, comparing the PSP and updated PS3 versions.